#5 Aluminum zipper tape in a continuous roll. 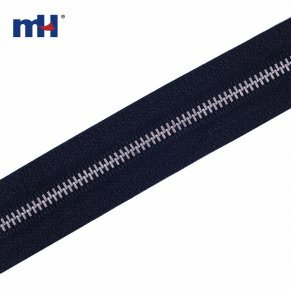 Easy to use and the sliders mount easily. 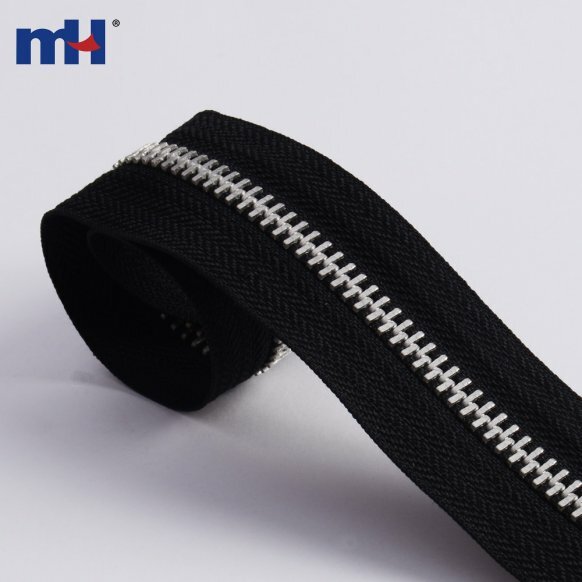 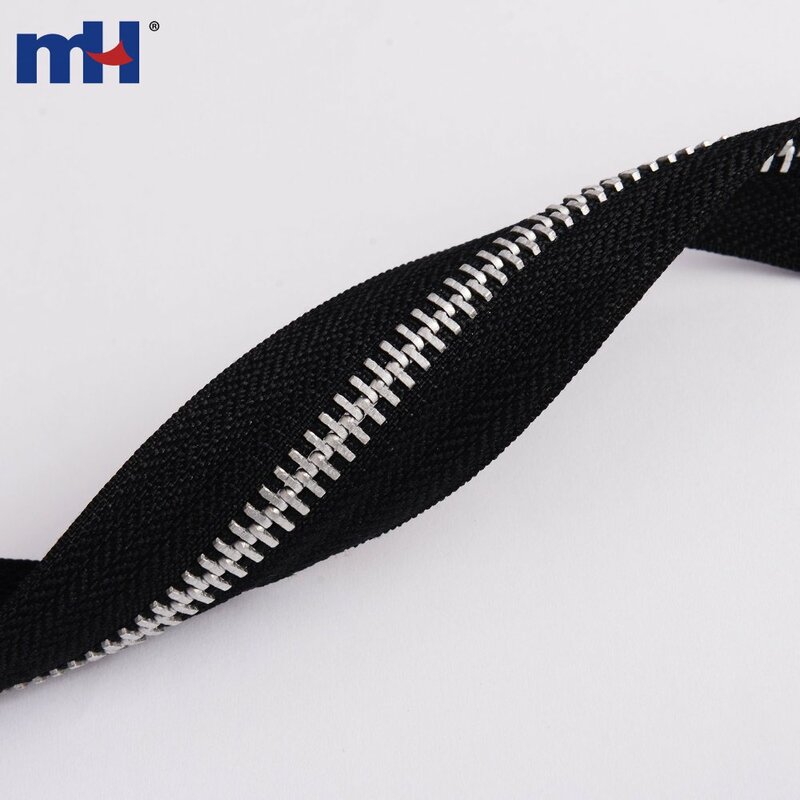 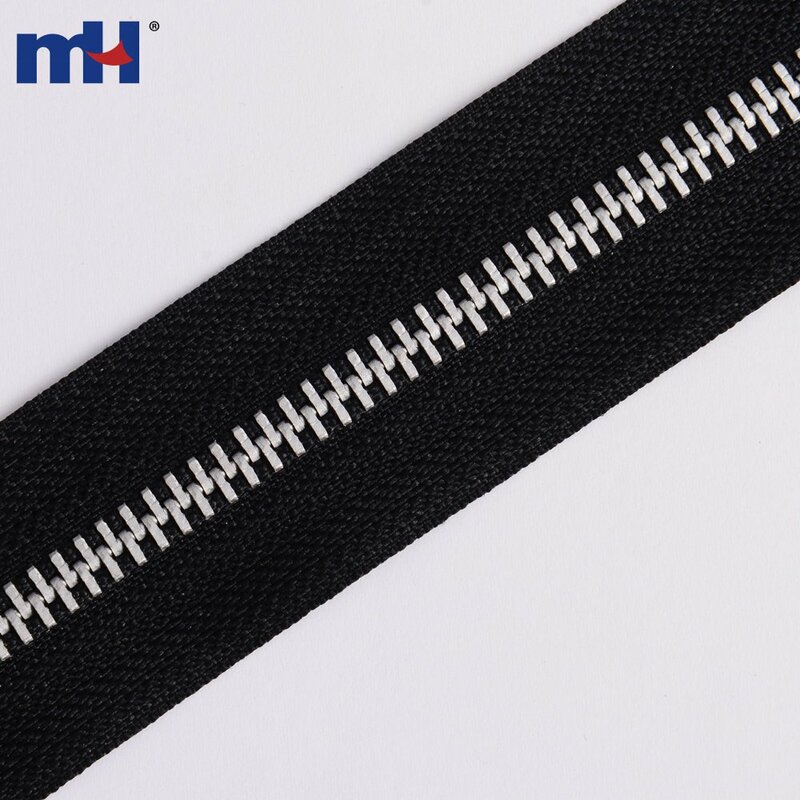 Polyester tape sews easily and is strong and abrasion resistant.